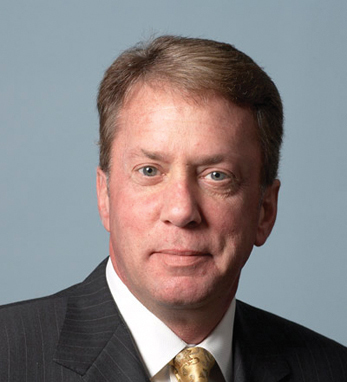 The Honorable Terrence A. Duffy has been executive chairman of CME Group since 2007. Previously, he served as chairman of the board of CME and CME Holdings and as executive chairman. He was vice chairman of the board of CME Holdings Inc. from its formation in 2001 and of the board of CME from 1998 to 2002. Terrence was also president of TDA Trading, Inc. from 1981 to 2002. In 2002, he was appointed to serve on a National Saver Summit on Retirement Savings, and was appointed in 2003 as a member of the Federal Retirement Thrift Investment Board (FRTIB). He currently serves on the Board of Directors of World Business Chicago, the Board of Trustees of Saint Xavier University, the Regional Advisory Board of The American Ireland Fund, and is co-chair of the Mayo Clinic Greater Chicago Leadership Council. He is chairman of the NYMEX Foundation and vice chairman of the CME Group Foundation. A graduate of the University of Wisconsin-Whitewater, Terrence is a third-generation Irish American who traces his father’s family to Westport, County Mayo.